The ACCC has a Chair, two Deputy Chairs, and three Commissioners. Their appointment to the ACCC involves participation by the Commonwealth, and state and territory governments. 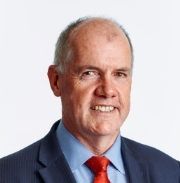 Rod Sims was appointed Chair of the Australian Competition and Consumer Commission (ACCC) in August 2011 for an initial five year term, reappointed for a further three years in August 2016, and reappointed again in September 2018 for an unprecedented further three years till July 2022, making him the longest serving Chair of the ACCC. Rod has extensive business and public sector experience. Immediately prior to his appointment to the ACCC, he was the Chairman of the Independent Pricing and Regulatory Tribunal of New South Wales, Commissioner on the National Competition Council, Chairman of InfraCo Asia, Director of Ingeus Limited, and member of the Research and Policy Council of the Committee for Economic Development of Australia. Rod was also a Director of Port Jackson’s Partners Limited where he advised the CEOs and Boards of some of Australia’s top 50 companies on commercial corporate strategy over many years. Rod relinquished all of these roles on becoming Chair of the ACCC. Rod is also a past Chairman of the NSW Rail Infrastructure Corporation and the State Rail Authority and has been a Director of a number of private sector companies. During the late 1980s and early 1990s, Rod worked as the Deputy Secretary in the Commonwealth Department of Prime Minister and Cabinet responsible for economic, infrastructure and social policy and the Cabinet Office. He also worked as Deputy Secretary in the Department of Transport and Communications. Rod Sims holds a first class honours degree in Commerce from the University of Melbourne and a Master of Economics from the Australian National University. 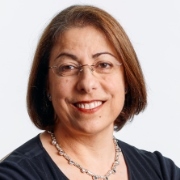 Delia Rickard was appointed to the position of Deputy Chair of the ACCC in June 2012 for a period of five years and reappointed for a further five years in August 2017 until 2022. Delia brings extensive public service experience in the area of consumer protection. She takes a particular interest in the ACCC’s consumer protection work and plays an active role in the Commission’s product safety work as well as its consumer protection compliance and enforcement work and scam disruption. Immediately prior to her appointment to the ACCC, Delia held a range of senior positions at the Australian Securities and Investments Commission (ASIC). She led much of ASIC’s consumer protection work covering areas such as financial literacy, dispute resolution schemes, e-payments and industry self-regulation. She was responsible for developing the first National Financial Literacy Strategy and chaired several OECD Financial Literacy sub-committees. She also led ASIC’s role in the implementation of the Government’s Super Choice policy and was the founding Chair of ASIC’s Corporate Social Responsibility program. Delia is a former head of the ACCC’s then Consumer Protection Branch and was a member of the Secretariat to the Wallis Inquiry into the regulation of Australia’s financial system. She is a trustee of the Jan Pentland Foundation — an organisation dedicated to providing scholarships for those who want to work as financial counsellors and a judge for the annual MoneySmart Week awards. She is also a pro bono director of FairTrade Australia New Zealand and Chair of Good Shepherd’s Advisory Committee on Financial Inclusion Action Plans. In the January 2011 Australia Day Awards Delia was awarded the Public Service Medal for her contribution to consumer protection and financial services. Delia is a member of the ACCC’s Enforcement Committee, Adjudications Committee, Communications Committee and Compliance Committee. She is also Co-chair of the ACCC’s Consumer Consultative Committee. Delia holds a Bachelor of Arts and a Bachelor of Law from the University of New South Wales. Mick was appointed as Commissioner of the ACCC in February 2016, and then as Deputy Chair of the ACCC in 2018. Mick has a long and diverse history of involvement with the agriculture sector, which has included periods of employment as a farm manager, a university researcher, an agribusiness consultant and an agriculture policy advisor. In 2003 Mick was appointed Executive Director of the Australian Farm Institute, an independent policy research institute that conducts research into strategic policy issues of importance to Australian agriculture. Mick continued in that role until his appointment as Deputy Chair of the ACCC in June 2018. During his time as Executive Director of the Australian Farm Institute, Mick was also appointed Chairperson of the Australian Government panel which reviewed drought support measures, and Chairman of the Australian Government’s National Rural Advisory Council from 2012 to 2015. Mick was awarded the Order of Australia Medal for services to agriculture in 2015. He holds Bachelor's and Master's degrees in Wool & Pastoral Sciences, both obtained at the University of New South Wales. Mick remains involved in family farming interests in southern NSW. Mick’s role at the ACCC includes involvement in a range of committees, as well as oversight of the small business, franchising and agriculture units of the ACCC. Cristina has a breadth of experience in both the public and private sectors across public policy, finance and utility regulation, including positions at the Reserve Bank of Australia, the NSW Treasury and the Australian Securities Commission. She served as the State part-time Member of the Australian Energy Regulator between 2010 and 2013. Cristina was a member of the NSW Independent Pricing and Regulatory Tribunal between 1997 and 2006. Cristina is chair of the ACCC’s Communications Committee and the ACCC’s Infrastructure Committee. She oversees the ACCC’s regulatory role in relation to key infrastructure in areas such as telecommunications, wheat ports, rail, and water. She is also the Commonwealth Member of the AER Board which has responsibility for regulating the national electricity and gas markets. Before becoming an ACCC Commissioner, Cristina held a number of directorships including with the Hunter Water Corporation and First State Super Trustee Corporation. Cristina holds a first class honours degree in Law and a degree in Economics. Sarah Court was appointed a Commissioner of the ACCC in April 2008, and reappointed for a third term in 2018. 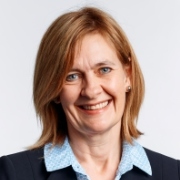 She is also an Associate Commissioner of the New Zealand Commerce Commission, and an independent expert advisory panel member for the Australian Prudential Regulation Authority. Sarah is a full-time commissioner, and a former senior executive lawyer and Director with the Australian Government Solicitor. She brings to her role extensive experience in Commonwealth legal work, including restrictive trade practices, consumer protection and law enforcement litigation. Sarah oversees the ACCC’s enforcement and litigation program and chairs the Commission’s Enforcement Committee, Compliance Committee, Consumer Data Right Committee and Legal Committee. She also sits on the Merger Review Committee and Adjudication Committee. Sarah holds a Bachelor of Arts (Jurisprudence) and a Bachelor of Law (Honours) from the University of Adelaide as well as a Graduate Diploma in Legal Practice from the ANU. She is a Fellow of the Australian Institute of Company Directors. Roger Featherston was appointed a Commissioner of the ACCC in June 2014. Roger is a full-time Commissioner who brings a wealth of experience from his previous roles as a lawyer in the private and public sectors. Roger was formerly a Partner at Mallesons Stephen Jaques, leading the firm’s competition law team and advising a broad spectrum of commercial and governmental clients on competition law and enforcement issues, consumer protection, informal merger clearances, access and pricing issues, and telecommunications matters. In addition to this extensive private sector experience, Roger acted for the former Trade Practices Commission early in his career and, for the two years before his appointment, acted as Special Counsel at the ACCC advising on a range of major competition and consumer protection matters. 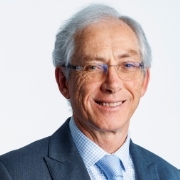 Roger is a life member and former Chairman of the Business Law Section of the Law Council of Australia, and a member and former Chairman of its Competition and Consumer Law Committee. Roger chairs the ACCC's Merger Review Committee and Adjudication Committee and is also a member of the ACCC's Enforcement Committee and Communications Committee. Roger was appointed an Associate Member of the New Zealand Commerce Commission from 16 April 2018. Roger holds a Bachelor of Laws (Honours) and a Bachelor of Economics from the Australian National University. High resolution images of the Chairman, Deputy Chairs and Commissioners can be found in our image library. A list of former Chairs, Commissioners, and Deputy Chairs & Commissioners of the Trade Practices Commission, ACCC, and AER can be found on the Former Chairs & Commissioners page.